Open House: Sunday, April 14TH, 2-4PM. 19 Yorkview..
PortImperialRealEstate.com was created by Scott Selleck, Broker / Sales Associate with Keller Williams to be a state-of-the-art internet and social media resource for current and future residents living in the Edgewater and Port Imperial Market place. 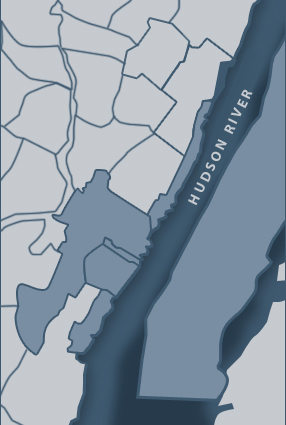 The Edgewater and Port Imperial Market Place portion of the NJ Gold Coast is located between the George Washington Bridge and the Lincoln Tunnel with easy access to New York City via car, express bus, ferry, or light-rail train. Scott Selleck embraces all the major social media outlets to sell and rent homes as well as share and enrich the local community. Learn more about the Edgewater and Port Imperial areas and share your views on our Facebook.com feed. Follow us and share your Tweets @PortImperialRE. Through our social media channels, you can help us grow the resources available to our Edgewater and Port Imperial residents, future residents, and business owners. To learn more about Scott's achievements in real estate sales and rentals, and read Customer Reviews, go to the About Scott Selleck section.